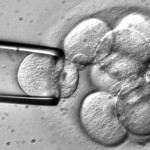 While reading Timshell’s recent post Words Have Meaning, it reminded me of an article I came across in the National Catholic Register regarding the specious terminology used in conjunction with stem cells. They focused on the recent stories of two sports heroes who were used to grab headlines. The first was legendary hockey player Gordie Howe who apparently made a remarkable recovery from a stroke after receiving a stem cell treatment in Tijuana, Mexico. The media initially reported that “only adult stem cells were used in the injections”. However, a tenacious sports reporter, Brent Schrotenboer, from USA Today, revealed that the stem cells Howe received also included stem cells from aborted fetus. Second was former San Francisco 49ers’ Quarterback John Broadie, who had received the same treatment from San Diego company, Stemedica Cell Technologies. To add to the horror, another California company, Ganogen, Inc. “takes organs from aborted fetuses and transplants them into rats so that the organs can continue to grow to a size where they can be transplanted back into humans.” They recently revealed that they have been successful at growing kidneys from an aborted baby inside a rat for several months. All of this is especially significant in light of the recent revelations of the continuing mendacity of Planned Parenthood. As seen in this article all of these are woven together to achieve their despicable ends while hiding the truth from the public who, hopefully, would vehemently oppose such horrific practices. We must be ever more vigilant to wade through the duplicity which evil & unethical persons use to camouflage their reprehensible behavior. Addendum: While writing this blog I came across a news story from Ohio State University where Dr. Rene Anand and other researchers have reported that a human brain, ‘nearly identical’ to that of a 5-week old fetus has been engineered and grown from modified ‘adult’ stem cells. Is this ‘modification’ the same as applied to the adult stem cells, mixing them with stem cells from aborted fetuses, used on our former superstars?